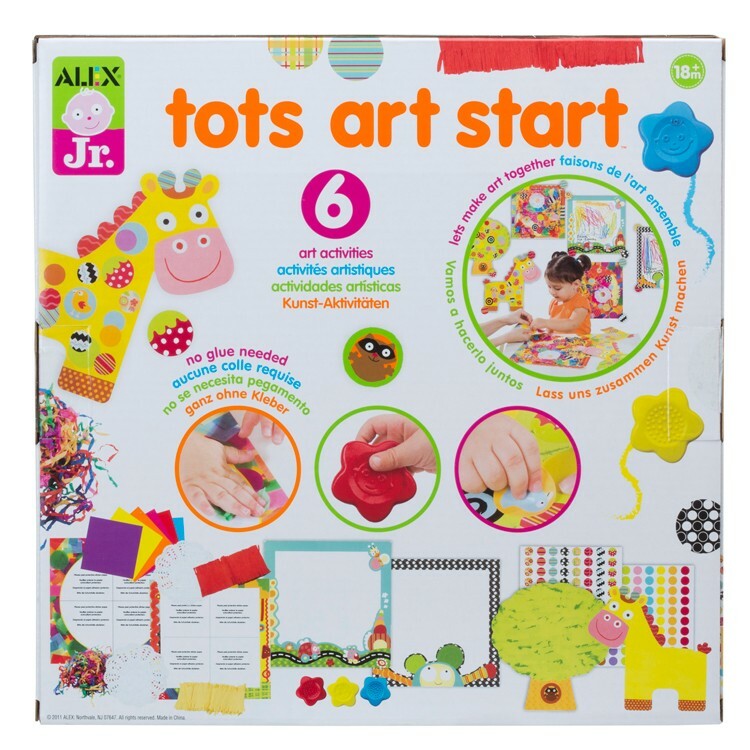 Alex Toys' Tots Art Start Toddler Craft Kit comes with 6 works of art that your little can create with all the craft supplies from this kit! 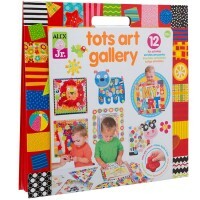 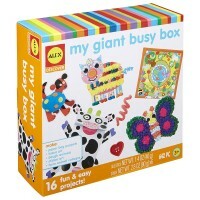 This award winning toddler's first art kit from Alex Toys comes with everything you need to inspire your tot's creativity! 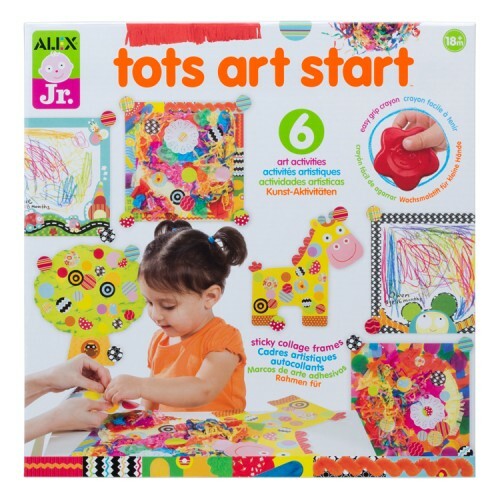 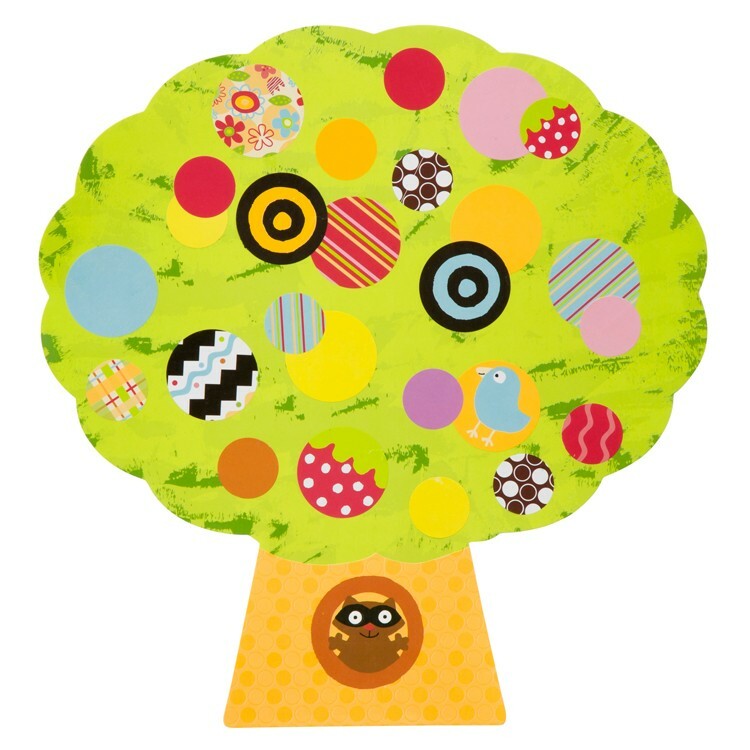 Tots Art Start Toddler Craft Kit comes with 6 works of art that your child can create! Your toddlers can stick, scribble and collage with this full of colors and craft fun first arts & crafts kit from Educational Toys Planet. 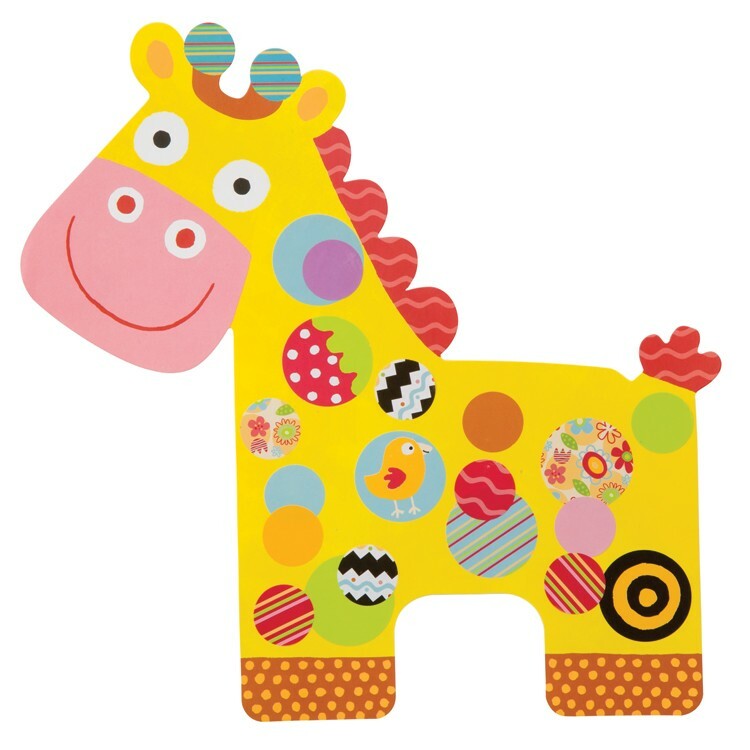 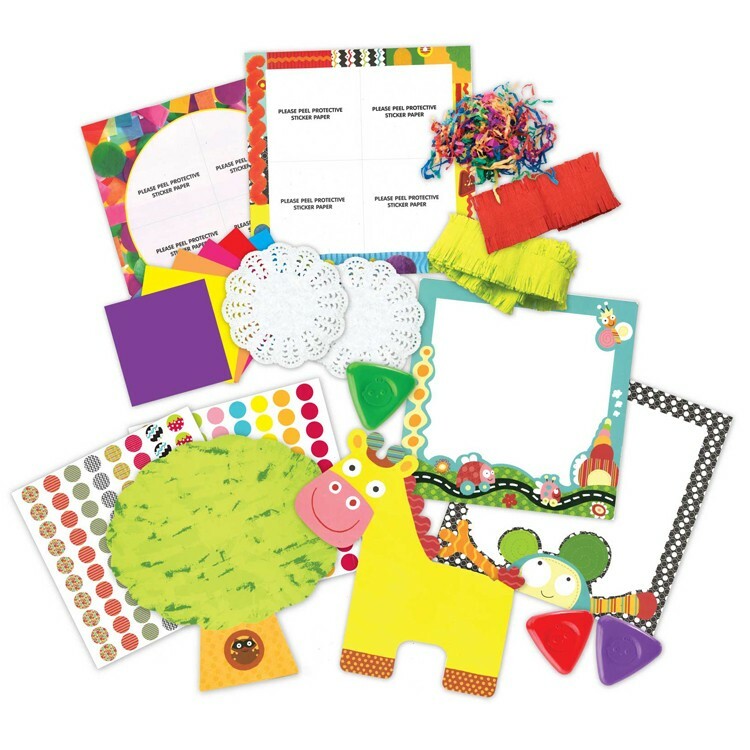 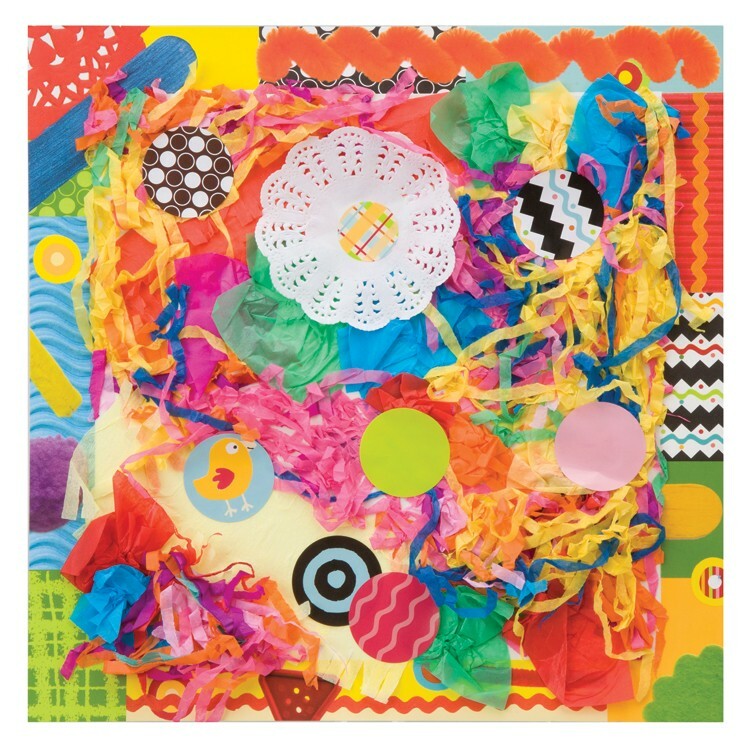 The Tots Art Start Toddler Craft Kit includes 2 pre-printed paper frames and 3 first crayons for scribbling, paper giraffe and tree with tons of stickers and 2 crack and peel collage boards with lots of doilies, tissue, fringe and crepe papers. 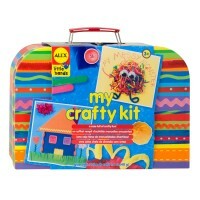 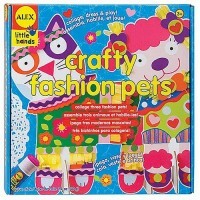 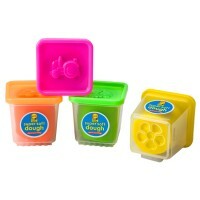 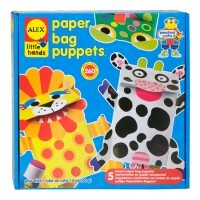 Multiple art activities in one craft set, this craft kit for the youngest kids promotes dexterity and imagination. 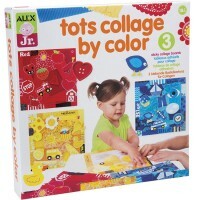 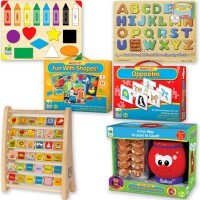 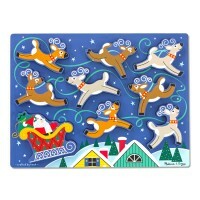 Dimensions of package 12.13" x 12.13" x 2.13"
Write your own review of Tots Art Start Toddler Craft Kit.